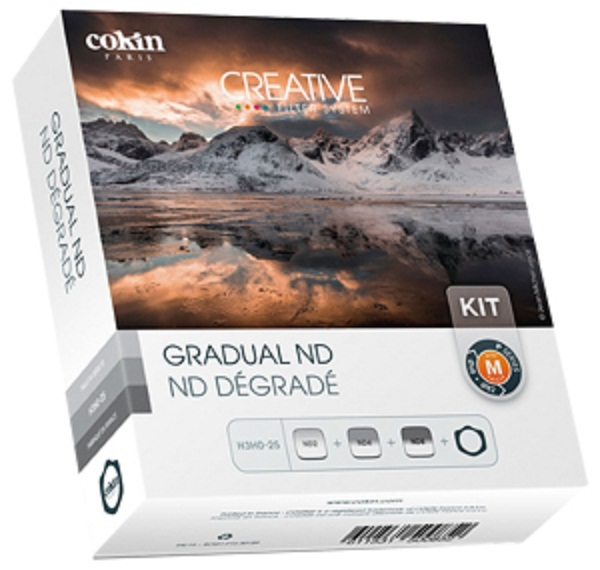 Cokin P Series Gradual Neutral Density Kit + Holder (H3H025) This Cokin P series filter kit includes the three most popular Gradual Neutral Density (GND) filters (ND2, ND4 and ND8) plus a P series filter holder. The gradual ND2 filter (P121L) with 1 stop density and hard edged transition, gradual ND4 filter (P121M) with 2 stop density and hard edged transition and gradual ND8 (P121S) with 3 stop density and soft edged transition. Everything you need to get started, apart from the adapter ring which is specific to your lens diameter (see accessories below for adapter rings). P series filter measure 84 x 84mm.